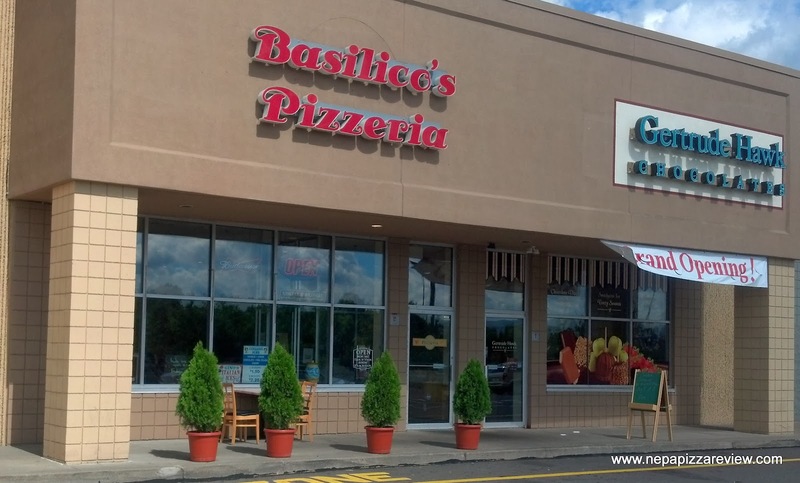 Anyone who has followed me for at least a few months would know that I'm a regular at Basilico's Pizzeria in Dickson City because I'm a fan of the pizza, it's conveniently located for me, and I'm an on-the-go type of guy who needs my food quickly so it's right up my alley. I've probably been to Basilico's more than 100 times in my day and feel like I know the menu inside and out - or do I? I always stress to restaurant owners that social media interaction with customers is crucial, and here's an example of why it's so important. I follow and like every NEPA pizzeria I can find on twitter and facebook to keep with all things pizza in the 570. Even as a regular customer and person who collects menus and posts them on this website, there are so many great pizza concoctions that I would never know about if it weren't for social media. Case and point - the Pizza Montanaro at Basilico's. I found out about this secret menu item when Basilico's posted this tasty looking treat on their facebook page and inquired about it. I was told that it is not necessarily on the menu, and I have to ask for. The facebook post refers to the Montanaro as "fried pizza" and it looked unique so I had to get to Dickson City and give it a try! I took my girlfriend a.k.a "the first lady" along for dinner and I ordered the Montanaro as an appetizer. I was curious what this pizza would be like, and I didn't have much time to ponder because it was ready in a jiffy! The first look at the mini-pizza, which is about the size of a single large slice, was aesthetically pleasing with a bright vibrant sauce, deep green herbs, and bright white fresh mozzarella cheese (my cell phone camera did not do this pizza justice at all). The dough was fried to a golden brown and was not greasy at all. I picked up my first slice and noted how light the pizza was. I was expecting a heavy, oil soaked crust, but this was not the case here. The first bite was impressive with the flavorful crispy crust giving way to the fresh and hearty tomato sauce and was perfectly complemented by the fresh mozzarella and herbs. I insisted that the first lady give this slice a try and she too was impressed with this pizza. It was light and crisp - when I would have expected it to weigh down my stomach all day, this was not the case at all. I also expected this to be a "pan fried" pizza similar to the sicilain varieties found in Luzerne County, but it was nothing like that at all. The Montanaro is truly a pizza which is unique here in NEPA as I haven't found anything similar. I am curious how this crust is created - in a frying pan? on a pizza pan? in the deep fryer? In the oven? So many questions and so few answers. This pizza is shrouded in mystery for me, and I need to find out more! Instead of asking a magician to reveal the secret to his trick, perhaps it's better for me to just sit back and enjoy the show on this one! 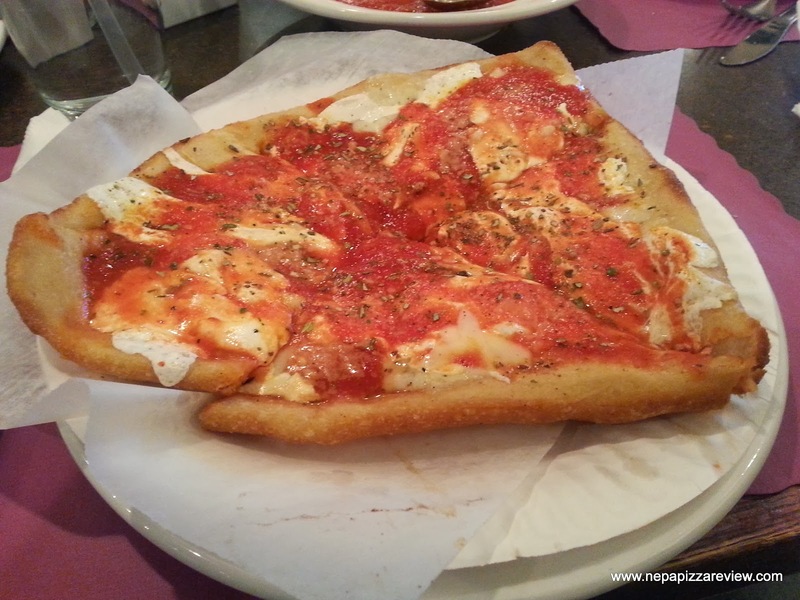 One thing is for sure, the Pizza Montanaro is something that I recommend that the NEPA Nation try and tell them the NEPA Pizza Review sent you! 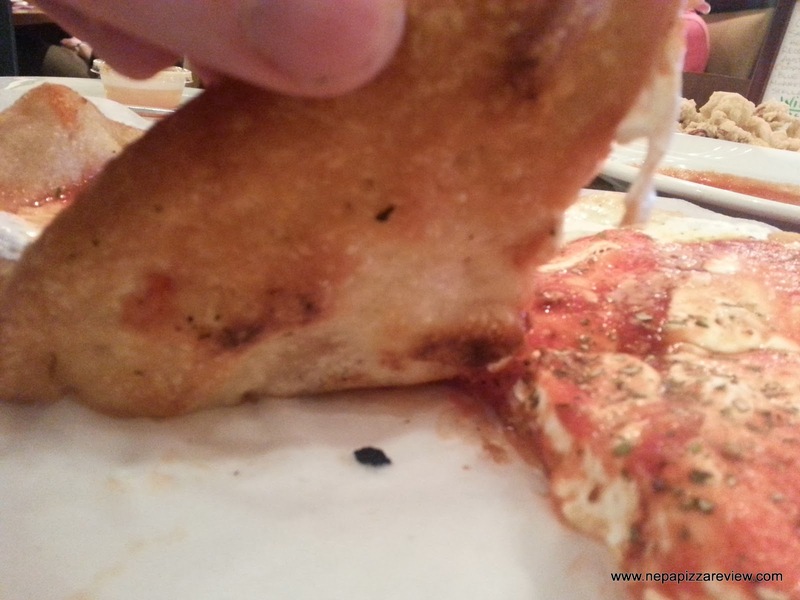 Pizza Ordered: Pizza Montanaro "Fried Pizza"
OVERALL RATING: 4.5/5Similar to: Like no other!